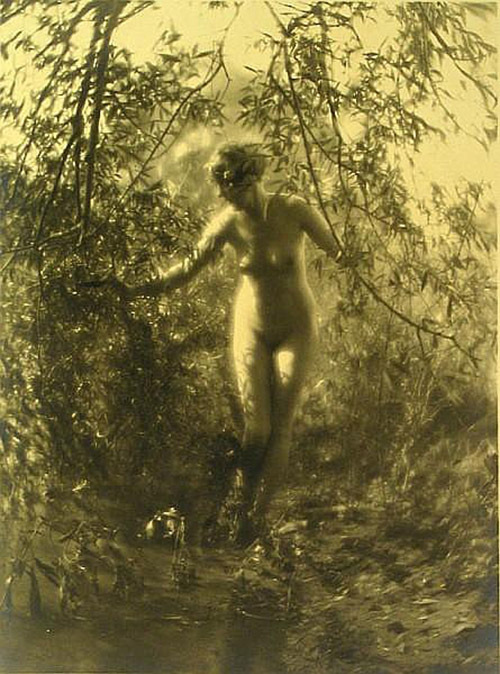 Cook worked in Chicago, and was known for his images of nudes in the Art Nouveau aesthetic. REF: Who Was Who in American Art; biographical information that was originally from the artist. Cook achieved interesting effects by manipulating his negatives, transforming them into positves. He mounted the image on to a gold, painted background, allowing the color of the background to be visible in the negative areas, tinting the entire image.